DISCOVER THE BEST ZODIAC T-SHIRTS AROUND! Where to find the hottest threads to rep your sign? Don’t worry! I got you covered… Plus some oldies from the back of the fashion cupboard. I designed the #ZOTEES prints while in a personal transition and studying the heart.. and really asking myself “Who am I?” I chose to mimic a “label” type of design to create a simple print that would both label and unify all of the coolest girls in the world. Just as all the Zodiac signs combine to form the great circle of the zodiac belt, the girls who follow The Laundry Room have a combined passion for authentic individuality that also transmits a powerful combined celestial energy which we believe empowers passions and dreams. The Laundry Room #ZOTEES unifies all the girls who follow The Laundry Room by simply labeling them with their zodiac sign, and hopefully continuing the simple discovery of “Who am I?” “I mean.. My shirt says I’m a “Virgo,” but “Who am I?” We hope to inspire others to ask themselves this question, and then share themselves.. their TRUE selves with the rest of the world! My Brother & I are just a couple’a young hippie dreamers who followed their passion for creating and started a womens clothing line in their early 20’s.. That’s why we’re so excited that Beyonce has supported The Laundry Room dream again and again.. simply put, she’s a Virgo; but we all know who Bey is because she continuously shares her true self with the world; she’s an amazing example of a woman who has always followed and then shared her passion, and her heart, and as this Virgo lives true to herself by simply following and living her dream she inspires the women of the world to do so as well. 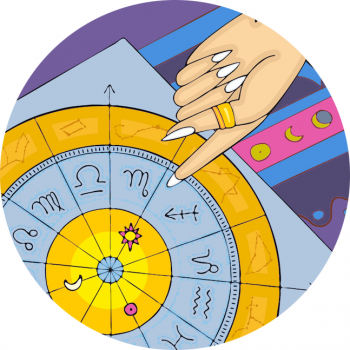 Remember Stargazer – always pack a Zodiac Tee!